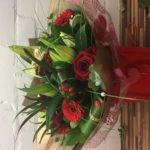 Brodie’s Blooms and Gifts is a modern, creative florist and gift workshop based in Cupar. Love and care goes into everything designed. Prior to setting up my own business I worked as a florist in Ring a Roses (Glenrothes) for almost 12 years, off and on while studying fashion at Heriot Watt. 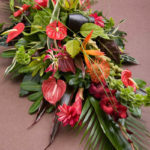 I realised after studying fashion and gaining my Ba Honours Degree, my passion was more about designing arrangements of flowers than designing clothes. I decided I had to leave and move onto pastures new, give myself a new challenge by opening this workshop. I hope I can make all your flower dreams come true. 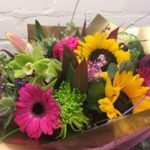 Our aim is to provide a great service to local customers by discussing your individual requirements or making it quicker and easier for you by ordering from the beautiful range of gifts on the website. I pride myself in being helpful and providing advice to customers where required. Quality flowers bought direct from Dutch growers. 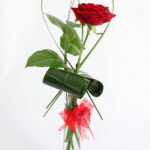 This ensures the customer is always getting top quality fresh flowers. Secure online shop to process orders. This means your card details are always safe and secure.